Dirk Osinga contributed to the research and educational project 'Recrafting Craft, A synergy of traditional and future crafts within fashion design education at art schools in the Netherlands' of Mascha van Zijverden by writing and illustrating six prospective scenario's for the future fashion school. The main objective of this research project is to re-tailor the meaning of craft as an essential vehicle for fashion eduction seen in the light of the unsustainable character of the global fashion industry. Van Zijverden is a member of the research group of ArtEZ Modelectoraat, the fashion department of the ArtEZ Institute of the Art in Arnhem, The Netherlands. 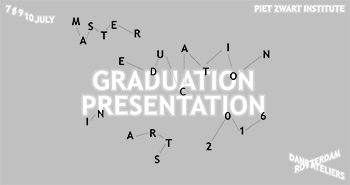 The research and educational project Recrafting Craft is her thesis project for her Master in Education in Arts at the Piet Zwart Institute in Rotterdam. From 7 to 10 July this project will exhibited in Graduation Presentation 2016. At the International Architecture Biennial Rotterdam Dirk Osinga gave a presentation about Werkplaats Centraal in which he collaborates with studio Makkink & Bey. Werkplaats Centraal is an ongoing design research project on the future of vocational education and training (VET) in the Netherlands. We propose 7 speculative models which re-organise this form of education by taking the workshop or workplace (werkplaats) as the starting point in order to create an improved learning experience for future craftsmen and women. Dirk Osinga situated the project in the radical change that has happened in the perception of the school and the workplace as a learning environment and the imminent socio-economical and technological changes that lie ahead, which already have a profound impact on this type of education. Exhibition Next UP by Jeroen Junte: Dutch Design by a new, engaged, post-crisis generation. Open Objects: Chair One, is featured in the Next UP exhibition curated by design critic Jeroen Junte who writes for the Dutch newspaper De Volkskrant and publishes regularly in design magazines. Next UP will be the first overview of a new generation of designers that came of age during the credit crunch of 2008. Junte: "The engagement and open-mindedness of these young designers is remarkable. They think in terms of opportunities and solutions rather than problems and obstacles. They continue the inquisitive, critical attitude of Dutch design, while at the same time strive to contribute positively to social issues. These engaged designers don’t just ask questions, they also look for answers. They deploy instinct and intuition just as much as conceptual exploration and a critical attitude. They are both thinkers and doers." The exhibition can be visited from 21 February to 30 September at the Kazerne in Eindhoven, The Netherlands. Dirk Osinga started in the beginning of this year as a Phd. candidate at the Architecture and Arts faculty of Hasselt University. His Phd. will focus on the innovation of architectural education, more specifically live projects. Dirk Osinga was selected for and participated in the 2015 International TRADERS Autumn School in Genk (BE). Speakers were, amongst others, Pelle Ehn, Pascal Gielen, Carl Disalvo, Hilde Heijnen, Frank Moulaert and David Hamers who gave insights in the city, creative practices, social innovation, gender and design under post-Fordist conditions or what Gielen calls 'in repressive liberal times'. Jeanne van Heeswijk and Wim Embrechts presented case-studies of their respective artistic and design practices. As a participant in the working table 'mapping labor: a mode of inquiry' we discussed the potential of subjective and objective mapping and questioned the map itself in the context of new forms of (un)paid labor and practices in Genk, which literally was ushered in post-Fordist times with the closure and moving of the Ford production plant in 2014. Cartographic practices can be used to politically put these often geographically diffused and temporarily fluid labor practices on the map and open them up for analysis and debate. Grant Proposal 'The Workshop Workshop' selected! Dirk Osinga is selected for the open call 'professionalisation design practice' of the creative industries fund NL. The goal of the subsidy is to contribute to the strategic development of the designers' practice. Dirk Osinga will use the subsidy for the development of a collaborative design practice 'The Workshop Workshop' (working title) which involves a number of selected designers like Irma Földényi, Foodcurators, Pomme van Hoof, Jesse Howard, La Jetée, Eugenia Morpurgo, Martina Muzi and Lukas Wegwerth. On the event 'the emancipation of the interior' organised by the creative industries fund NL at the Dutch Design Week 2015 Dirk Osinga gave a presentation on the project Werkplaats Centraal a design researchon the future of vocational education and training (VET) in the Netherlands where he addressed the future of work and education and questioned the nature of the interior. Werkplaats Centraal is a collaborative project of do|ob en studio Makkink & Bey and funded by the creative industries fund NL. A video of the presentation can be seen here (starts at 49:00 minutes). 2nd Grant Proposal 'Werkplaats Centraal' Selected! studio Makkink & Bey and Dirk Osinga are selected for the second phase of the open call 'educational environments' from the Creative Industries fund NL with our project Werkplaats Centraal. In this project we are researching and designing the future of vocational education and training (VET) in the Netherlands. This week we had a kick-off for what is going to be an exciting year with workshops, a collaborative platform, an exhibition and a talkshow. In the spring of 2015 Dirk Osinga was interviewed by design journalist Jeroen Junte for Dutch architecture magazine architectuur NL. In the interview 'architecture out of necessity' Dirk elaborates on his activities and his experiences since his graduation from architecture school and the start of his design and research practice. He also talks about his collaborations with curator Jan Boelen and designers Irma Földényi, studio Makkink & Bey, Lotte de Raadt, and Lukas Wegwerth. Open Objects chair one will be on show during the international design festival berlin 2015 at the DAD gallery. The show 'contemporary creation processes in design' will show the work of five young Dutch designers. Opening 10 June from 6 to 10 pm come around and join us! On an expert meeting organized by creative industries fund NL and contemporary artspace MU in Eindhoven Dirk Osinga gave a presentation about the development of the design research project 'Werkplaats Centraal' a collaborative project between Dirk Osinga and studio makkink&bey on the future of vocational education and training (VET) in the Netherlands. Alongside Dirk Osinga different design studio's presented their projects which experiment with different learning environments. Grant Proposal 'Werkplaats Centraal' Selected! We are happy to announce that Dirk Osinga in collaboration with studio Makkink & Bey are selected to take part in the open call 'educational environments' from the creative industry fund NL. Our research proposal 'Werkplaats Centraal, craftmanship and the workshop in the 21st centruy' was selected out of 36 proposals. We are looking forward working with several vocational schools in the Netherlands bringing this research a step further! On Friday 30th of january in Utrecht (NL) Dirk Osinga will give a lecture on the yearly career event for creatives VROAAM! organised by the association of Dutch designers (BNO). He will talk about entrepreneurship, the creative industry and the lessons and experiences he gained with the educational program Driving Dutch Design. Two projects of Dirk Osinga are featured on the website of Adhocracy Athens. One is Spatial Probes developed together with Lukas Wegwerth at the BIO 50 and the other is Open Objects chair one designed and made with Lotte de Raadt. Adhocracy Athens is an exhibition and symposium at the Onassis Cultural Centre which will be held from May to June 2015. 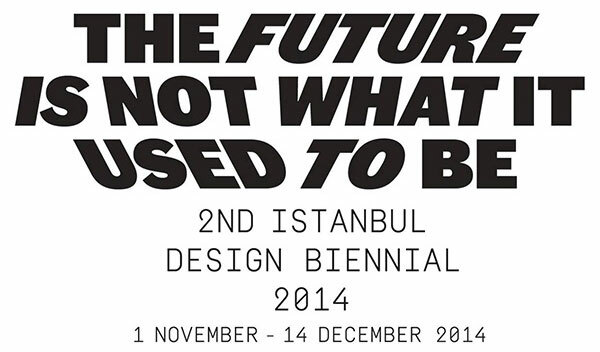 It is the 2nd installment of the exhibition first curated by Joseph Grima for the 1st Istanbul Design Biennial in 2012. Dirk Osinga was invited by the association of dutch designers (BNO) to give a lecture about entrepreneurship, the creative industry and the knowledge and experience he gained during the entrepreneurial program of Driving Dutch Design. He talked about what the world of design can learn from the world of business and vice versa in order to strengthen the creative industry as a top economic sector stimulated by the Dutch government. The audience consisted of people from BNO, Dutch Design Week, the Dutch Chamber of Commerce and the next generation of Drivers. Within the framework of the 2nd Istanbul Design Biennial Dirk Osinga is invited to co-lead a team at the workshop Istanbul Smart City Information Hubs. This workshop on December 11 will initiate, support and facilitate local interventions for developing the future of Istanbul as a Smart City. Together with mr. Yigit Sardan of Istanbuls' Council of Creative Industries, Dirk Osinga will support and facilitate the team focusing on Business Strategies & Development and Branding of the information hubs in Istanbul. The Istanbul Smart City Information Hubs project is organized by Istanbul Bilgi University, Institute for Information Design Japan and LIN architects and supported by TAK, World Intelligent City Summit 2014 and the Goethe Institute. At the Dutch Design Week Dirk Osinga in collaboration with Lotte de Raadt present chair one as part of their label Open Objects at the exhibition unlocked. This collaborative exhibition organised, designed and built by the participants of the educational program Driving Dutch Design which has the aim of stimulating young Dutch designers to become keen cultural entrepreneurs. On September 18 the opening of bio50 will take place in Ljubljana. Dirk Osinga was the co-mentor for the Affordable Living group together with Rianne Makkink. At the same time he presented Starting Something a research and design project, consisting of Infra-Services and Spatial Probes in collaboration with Lukas Wegwerth and master students social design of the DAE. The opening will feature a talk moderated by Vera Sacchetti with an interesting panel consisting of Alice Rawsthorn, Justin Mcguirk and curator of bio50 Jan Boelen about this design biennale. Dirk Osinga together with Lukas Wegwerth are commissioned by the Design Academy Eindhoven to organise a workshop for Social Design master students together with students from the University of Ljubljana Architecture Faculty. The goal of the workshop Infra-Services is to design proposals for new kind of alternative services for vacant lots & buildings in Ljubljana using available local resources (Natural, Economic, Cultural & Social) along different infrastructure lines practicing particular field research strategies that are defined by three roles (Journalist, Anthropologist & Cartographer). Selected for Slovenia's 24th Biennial of Design! Dirk Osinga is selected to take part in BIO 50 the 24th Biennial of Design in Ljubljana, Slovenia which will take place between 18 September and 7 December 2014. Dirk Osinga will be part of an international group of designers that will work on the theme of 'Affordable Living'. Selected for Masterclasses Design Entrepreneurship! Dirk Osinga was selected to take part in the program Driving Dutch Design which educates designers to become keen entrepreneurs. DDD is an initiative of the BNO, ABN AMRO and Capital D and consists of a series of master classes given by experts from ABN AMRO, the Dutch Chamber of Commerce, Ernst & Young and Baker & McKenzie. Furthermore each designer is supported by a personal coach from ABN AMRO. The results of this program will be presented during the Dutch Design Week 2014. Open Objects profile one in collaboration with Lotte de Raadt will be exhibited during the Dutch Design Week 2013 at Strijp-S in the venue of Rechargeables.